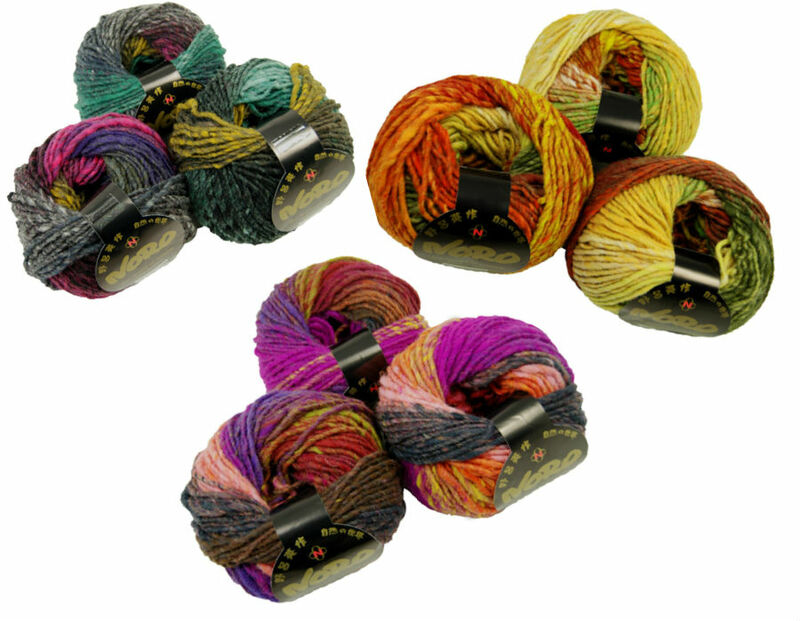 A fun yarn for Friday – we’re closing out Noro Hitsuji, a bulky 100% wool, at 50% off! Noro Now! 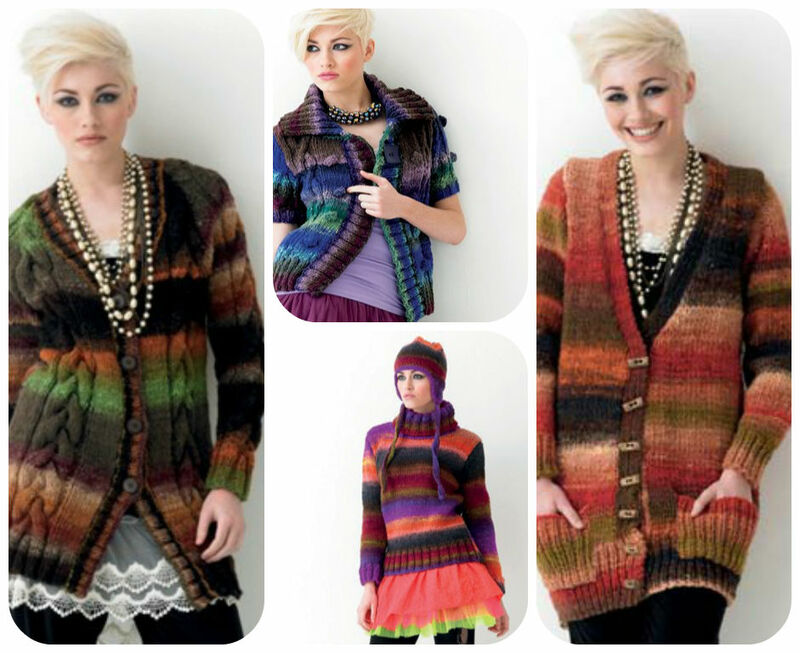 contains 16 fashion-forward sweaters designed by Jenny Watson in Noro yarns. Bold, chunky knits with color, dramatic shapes and texture. Four of the patterns in Noro Now! are knit in Hitsuji. The cover sweater, a short-sleeved jacket with bobble and cable intrigue, takes just 5-7 skeins of Hitsuji! We love the wide collar and playful, wearable shape. Either of the long cardigans will take 7-10 skeins of Hitsuji – would you prefer cables, or snuggly ribbed pockets? The simple turtleneck pullover (with optional matching earflap hat) lets Noro’s stripes do all the work for you, and takes 6-8 skeins. Get your hands on some Hitsuji before it’s gone and make one of these beauties your own!